This fellow had it all going on. 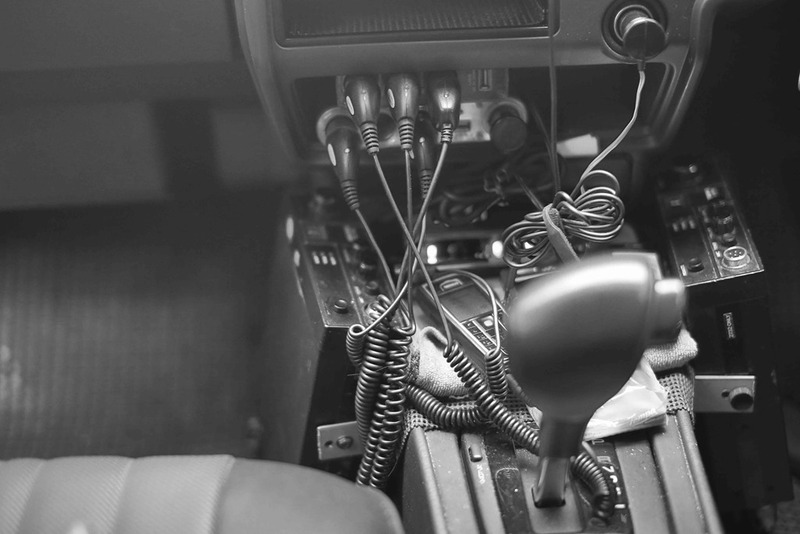 He was driving barefoot, had things dangling everywhere in the taxi, 2 CB radios and no less than 10 cell phones; not a single one manufactured after 2007 or 2008. I had gotten into quite an eclectic taxi. I smiled when I looked over the seat. He had a lot of things plugged in. This entry was posted in Our Asia Adventure, Photography and tagged Asia, black and white, black and white photography, Canon 5D Mark III, Photography, Sigma 50mm f/1.4, Taxi by michaelweening. Bookmark the permalink.